The average American consumer doesn't understand what cloud computing is or how it works, according to a national survey. The survey, undertaken by Wakefield Research and commissioned by cloud-technology firm Citrix, showed that many U.S. consumers believed it was weather-related, or something to do with pillows, drugs, heaven, outerspace and toilet paper. 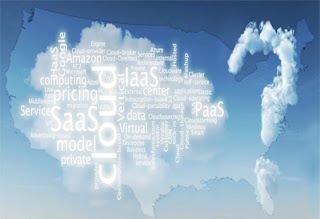 However, the research -- which included over 1,000 participants and was conducted this month -- did show that even when people did not fully understand cloud computing, they often recognized that it has economic benefits and can drive business growth. When asked what "the cloud" was, 29 percent said "a fluffy white thing", whereas only 16 percent connected the phrase with a network used to store, access and share data across Internet-connected devices. So do you think the US understand cloud computing? Forrsights surveys show that companies are indeed moving to the cloud, primarily for speed and lower costs — but are the savings really there? The answer might not be obvious. Are you heavily virtualised already? Have you moved up the virtualization value chain beyond server consolidation to using virtual machines for better disaster recovery, less downtime, automated configuration management, and the like? Do you have a virtual-first policy and actively share resources across business units? If you run a mature virtual environment today, your internal infrastructure costs might already be competitive with the cloud. Within a few years, Amazon.com’s creative destruction of both traditional book publishing and retailing may be footnotes to the company’s larger and more secretive goal: giving anyone on the planet access to an almost unimaginable amount of computing power. The constant promise we hear about cloud computing is that it is supposed to lift many of the burdens of information technology management away from companies, and out to some service provider. However, the promise is always a lot sweeter than the reality. And that reality is that new types of skills are required to successfully manage today’s cloud environments. For one, many clouds are internal to organizations, developed, hosted and managed by IT or another part of the enterprise – thus requiring many of the same skills that an Amazon Web Services or IBM need to keep their offerings going. VMware's general manager for Asia Pacific and Japan, Andrew M Dutton, says the response to cloud computing from state governments in India has been proactive, compared with the "'UPA government which is preoccupied with other issues." VMware provides virtualization technology, which is the foundation of cloud computing - both private and public. Dutton, who was at VMworld 2012, the company's annual virtualization conference, spoke to TOI about India's preparedness and response to cloud computing, which is today revolutionizing the IT sector. From this information we share this new development, is really great,Thank you. . . . . . We would like more information about this article. .!